Though I’m not typically a face cream kind of gal — I gravitate toward face oils and face balms — I had a feeling Kahina Giving Beauty’s Night Cream would be the exception to my typical tastes from the moment the silky cream went from my fingers to my face. As an oily-skinned lady, I tend to avoid night creams because they’re just too heavy for my congestion-prone skin. But Kahina Giving Beauty’s Night Cream is something of a hybrid between a traditional night cream and the oils and balms I’ve come to love. It’s easy to spread — milky, even — yet dries to a supple sheen, never over-dewy or flat-out shiny. During winter, I could see myself using Kahina Giving Beauty’s Night Cream during the day (which is totally fine from an ingredients standpoint — no photo-sensitivity issues here) to give my skin an extra boost of moisture without any of the heavy weight. It layers well over a serum, and for extra moisture (again, for winter for me), you can top it off with an additional shot of argan oil or prickly pear seed oil. Talk about a powerhouse skin regimen! 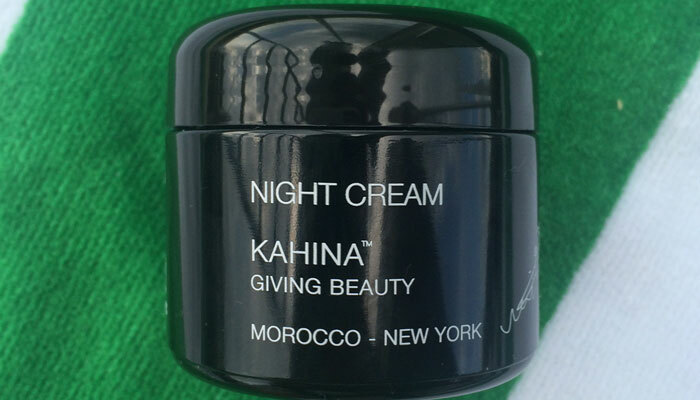 So what makes Kahina Giving Beauty Night Cream a powerhouse product on its own? Kahina’s staple, vitamin E-rich argan oil, combines with red wine grapes loaded with resveratrol and polyphenols to give Kahina Giving Beauty’s Night Cream just what it needs to help improve your skin’s texture and tone while gently firming and lifting the skin. The soft floral scent (which should be bottled into a natural perfume! ), made possible by a smart blend of lavender and lemon balm, encourages nightly relaxation of the senses and calming of the mind as the lightweight formula quickly soaks into the skin. While I don’t yet have to deal with fine lines and wrinkles, the thoughtful ingredients packed into Kahina Giving Beauty’s Night Cream are designed to help smooth and prevent these signs of aging and can also defend the skin against environmental free radicals that can further exaggerate these signs. As I approach 29 this fall (you have my birthday marked on your calendar, right? ), I’ll remember to keep using powerful preventative organic beauty products like Kahina Giving Beauty Night Cream in hopes that my skin ages as well as that of my beautiful 62-year-old mother’s. 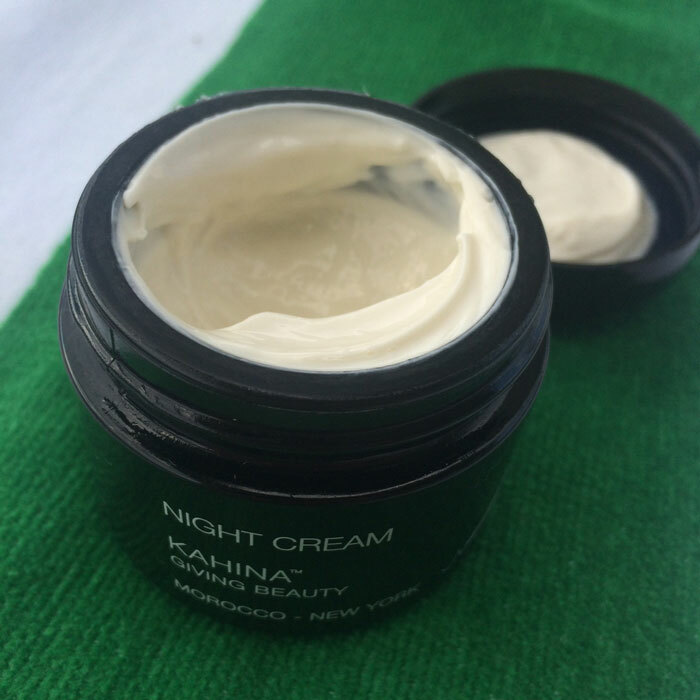 And with that, Kahina Giving Beauty Night Cream is clearly a repurchase. At $105, it’s a luxury beauty buy, but the fact that it takes just a dime-sized dollop to spread across the whole face means it will last a long time with nightly use. Plus, if you want to cut it with your beloved oils, as I do, you’ll extend the life of the product — and the vitality of your skin. 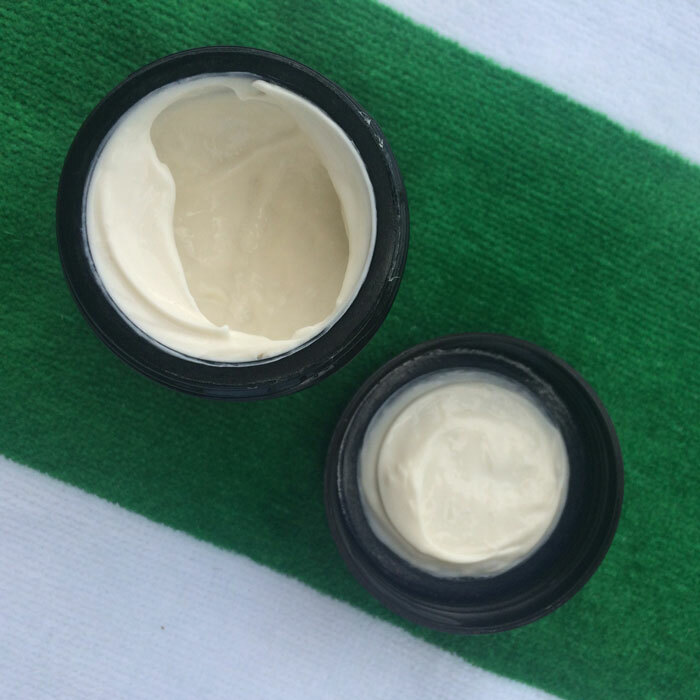 Do you use night creams, or do you prefer different textures such as balms and oils? What Kahina Giving Beauty products have you tried? Tell me in the comments section!